The only way is up for Brendan Rodgers and Liverpool, but for that to happen they’re going to need to get rid of a lot of extra weight which means players like Iago Aspas and Luis Alberto possibly leaving after just one season at the club, with the future not looking too incredibly bright for other players who spent last season on loan. Aly Cissokho and Victor Moses, both loanees at the club, won’t be coming back for another season. Cissokho had his moments but in the end was left on the bench as right back Jon Flannagan was preferred on the left side of the defense. Jack Robinson is on the rise, and Jose Enrique should be over his injury problems by the time next season kicks off. What about players who were on loan? 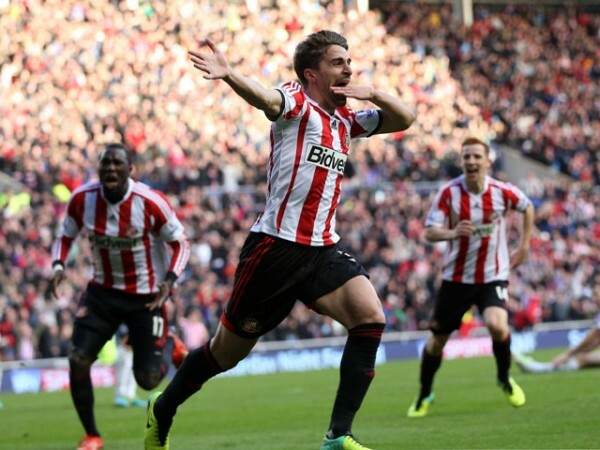 Fabio Borini wasn’t too bad for Sunderland (7 league goals) and Ossuama Assaidi did alright occasionally for Stoke. However, Assaidi right now doesn’t seem like a player who’ll have a fighting chance of making the Liverpool rotation, while Borini is something of a fall back option, unless he can show some meaningful strides during the summer and preseason in his ability to handle the Premier League. 20-year old Suso had a very good season with Almeria in Spain, but it remains to be seen if the talented right winger has a place in Rodgers’ plans. Right now it seems like a return for him is paved, but Liverpool might be open to offers for the youngster and might even push to get some if Rodgers, who is going for quality and not quantity this summer in his transfer policies, thinks that he can get a good price for him. Pepe Reina returns from his Napoli loan but won’t stay with the team. He isn’t going to be a backup to Simon Mignolet, and Liverpool can get a nice price for him or at least make some more money by sending him out on loan. Kolo Toure started out quite well but was pushed out of the rotation as the season went on. It won’t be surprising to see him retire after talking to Rodgers, although the most likely scenario is him being released. 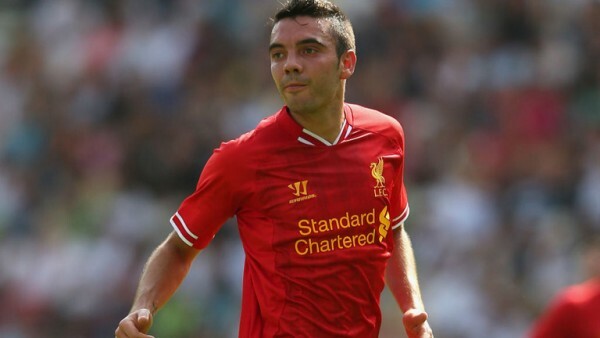 One player who won’t stay is Iago Aspas, a huge failure for Rodgers. The Spanish striker started only five matches, scoring one goal in the FA Cup and doing close to nothing during his time at Anfield. Liverpool are a patient club, but it doesn’t seem like the 26-year old is going to be happy sitting on the bench behind Luis Suarez and Daniel Sturridge for another season, so recouping part of the €9 million spent on him sounds like a good idea. Luis Alberto had a forgettable debut season at Anfield. Rodgers spent a long time chasing the young Spanish midfielder, paying £6.8 million to sign him from Sevilla. Right now the Liverpool midfield seems crowded, so loaning him out might be the best option for both sides. Tiago Ilori didn’t get much playing time on his loan to Granada, and the Portugal U-21 defender might be loaned out again next season. Martin Kelly seems to be on his way out of the club, and the same goes for Uruguayan defender Sebastian Coates.